Custom tattooing and body piercing has no limits by us. At Basel Tattoo & Body Art Studio, you will always find a friendly, courteous, professional staff dedicated to the art of Tattooing & Body Piercing. The studio owner, D.E. Holm has over 30 years experience sticking people with needles professionally! 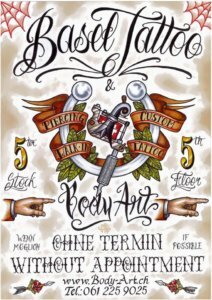 Since 1991 Basel Tattoo & Body Art Studio has been internationally known & recognized as o­ne of Europe’s top tattoo and piercing studios. 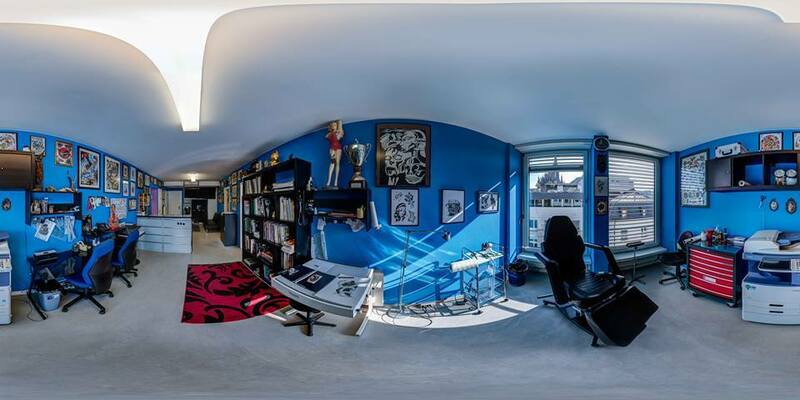 Visit our modern studio where you will find a nice comfortable atmosphere with friendly, courteous, multilingual staff dedicated to the art of tattooing.